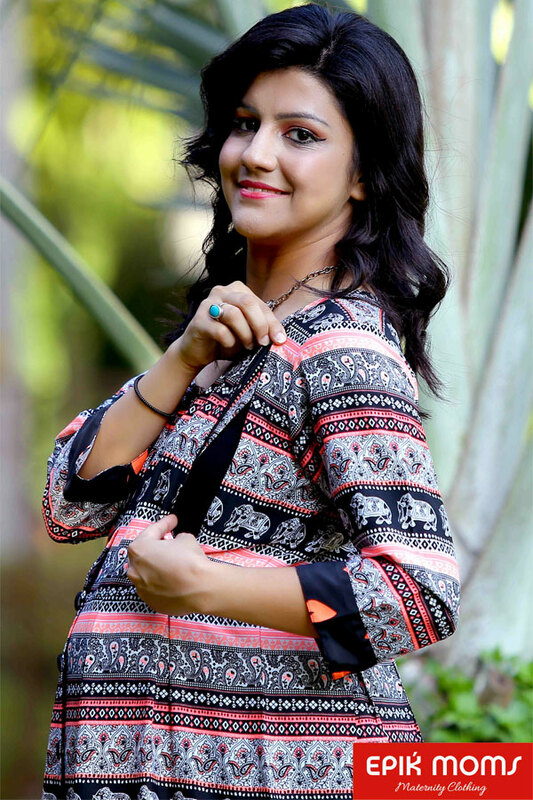 Your wardrobe is not complete without this beautiful maternity shirt dress from EpikMoms. Made in American crepe blend fabric and cut for a relaxed fit, this dress drapes beautifully over your curves allowing space for movement. Featuring long wide sleeves, front button design and an easy nursing front zips, this dress is ideal before, during and after pregnancy.